What’s the goal of sales prospecting and why is it a big deal? Let’s find out! Running a business requires a lot of hard work and patience. Taking an idea, a dream, and making it a reality takes perseverance and a ‘never quit’ attitude. A lot of this depends on the fact that people ought to love your product or service. A business’s success is directly correlated to the number of happy and satisfied customers it has. This is why salespeople make up some of the most important parts of your company. They are the ones going out in the field, interacting with the customers, understanding their needs, convincing them of your product’s value, and building great customer-employee relationships. A big part of every salesperson’s job is prospecting. Finding suitable prospects, engaging with them through various sales outreach techniques, and closing more deals is what a salesperson is hired to do. 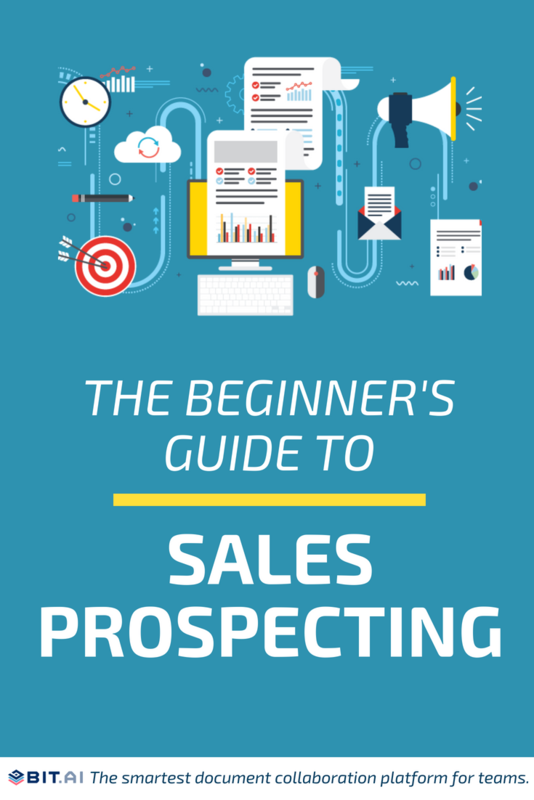 But what exactly is prospecting? Many businesses have different views on the idea of prospecting and often confuse it with having leads. Let us understand the true meaning of sales prospecting, how it’s different than lead generation, and how to carry out sales prospecting effectively. Sales prospecting can be defined as the process of searching for or identifying potential customers or clients for the purpose of generating new business for the company. Sales prospecting involves reaching out to multiple individuals to find out which amongst them could be a potential customer. The goal of prospecting is to develop a solid database of people who are interested in your business or who are qualified as fitting certain criteria and then reaching out to them in the hopes of converting them from potential customer to new customer. Falls in your target market. Has the means to buy what you’re selling. Has the power to make purchase decisions. Once you’ve identified who meets the criteria, he/she is moved to the prospect database for the next steps in the sales cycle to be carried out. Cold prospect – Includes people who haven’t shown any interest in your product/service. Warm prospect – Prospects who have shown some interest in your product or service. These prospects can be persuaded to become customers by offering discounts or using other sales techniques. Hot prospect – Someone who is excited about your product or service and is immediately interested in purchasing it. The process of sales prospecting involves categorizing people into these three types of prospects to make the sales process easier and more effective. Ok. Got it. But then what’s the difference between a lead and prospect? A common confusion in the sales and marketing world is the usage of the words leads and prospects. Any potential customer or client who hasn’t been qualified as a prospect is a lead. This means that you gather leads first, check if they meet your company criteria for being a prospect and then move them along the sales funnel. For example, if you go to a technology trade show and collect emails and names of people who liked your app, then those people are classified as leads. When these contacts align with the persona of your target customer, they are known as prospects. Lead: A lead is a potential customer or client who has expressed interest in your company or services. Prospect: A lead becomes a prospect if they match the criteria of your buyer’s persona or target customer. Thus, sales prospecting is essentially the process of collecting leads and finding out which of these leads are prospects. Sales are the lifeline of any company. Naturally, sales reps play the crucial role of bringing in cash flow by finding new prospects and converting them into customers. What makes prospecting absolutely crucial is the fact that it keeps the sales pipeline occupied. When salespeople are always on the lookout for leads and prospects, the chances of them converting and bringing in revenue increases multifold. One thing that businesses need to be aware of is the fact that you don’t stop prospecting if you think you’re getting enough customers. In order to grow a business consistently, sales prospecting needs to continue without stopping. This ensures that the company has a large enough customer base to outshine its competitors, even in times of slow growth or during a recession. 50% of sales time is wasted on unproductive prospecting. When sales are the most important aspect of your business, wasting half of the crucial selling time can be disastrous for your business. This is why businesses need to be aware of the proper sales prospecting techniques to kill off unproductive hours and make the most of their time. Cold calling: Cold calling refers to unsolicited calls to sell a product or service to a prospect. It’s fairly outdated method of selling something to customers, one which the customers often refrain to be a part of. According to a study by Keller Research Centre, a total of 1% of cold calls actually result in a meeting! A staggering 90% of B2B decision makers don’t respond to cold sales outreach. Needless to say, using cold calling as a sales prospecting technique is on its way out. Social spamming: Involves sending unwanted social media messages to sell a product or service. Drop-In: Involves showing up at a prospect’s business in hopes of converting them into a customer. Drop-in’s involves a face-to-face interaction and often gives you more time to actually introduce yourself and your product/service. Inbound prospecting is where customers come to your business due to information they may have found about you. This includes on social media platforms and other places across the internet. A big part of inbound prospecting is the use of a CRM (customer relationship management) tool, which gives you a detailed outlook of how the prospect first visited your website, what pages they viewed, any action they’ve taken (e.g., downloading a free ebook or commenting on a blog post), etc. This is the knowledge that helps sales understand their prospects’ needs and buying intent. Warm emailing: Prospecting can start off with the sales rep by introducing themselves with a warm email. Don’t jump right in with your sales pitch. Spend time to introduce yourself and how you found them online. Digital channels now influence 92% of B2B buying decisions, while half of the B2B buyers prefer to gather the information necessary to make these decisions on their own. Social sellers attract 45% more opportunities than their peers, they are 51% more likely to achieve quotas and outsell their non-social counterparts 78% of the time. Companies with consistent social selling processes are 40% more likely to hit revenue goals than non-social sellers. How to carry out sales prospecting the right way! Did you know that over 40% of salespeople identifies prospecting as the most difficult part of sales? A major reason is the lack of structure and guidelines provided by companies to the salespeople. Let’s see some of the key points to follow while carrying out sales prospecting which will help you find customers quickly and easily. Remember the criteria we talked about earlier for being qualified as a prospect? The first step to sales prospecting is to define what the criteria are for your company, i.e. whether the lead falls in your target market, has the willingness and means to buy what you’re selling, and has the power to make purchase decisions. Salespeople often end up wasting a lot of time when they try to sell individuals who have neither need for the product or money to pay for it. Once you have a clear image of your ideal customer, the next step to sales prospecting is research. Find different sources from where you can dig out new leads to qualify as prospects. These sources can be social media, customer referrals, directories, trade shows, business magazines, purchased lists, official records, etc. If you are selling B2B, make sure to identify who are the key decision makers and influencers in the company you can get in touch with. This will allow companies to create a highly targeted and relevant list where only those who meet the criteria of the target buyer are qualified as prospects. Once you have done the research and made a list of candidates, the next step is to prioritize that list. Prioritizing the prospects can save you time and effort while ensuring that you only go after the prospects who have the highest probability to become customers. Now that you have your list in order of prioritization, its time to get in touch with these prospects. You can use any of the above mentioned inbound or outbound sales prospecting techniques to make the first contact. Whether you are calling or emailing, your outreach should be highly tailored to your prospect’s goals, needs, wants, industry or business. Keep in mind that this is not the time to sell, but to help your prospect with the problem they are having. Keep the conversation casual and provide resources that might be helpful for them. Remember, it’s not about you or your business, it’s about THEM. The outcome of prospecting is to open up and explore the relationship between the company and the prospect and determine whether both parties can benefit from such a mutual relationship. This almost always involves obtaining the commitment for an appointment to further discuss the details and move the prospect down the sales funnel. A key takeaway from this process is to always record the exchange between the sales rep and prospect. This helps you see what problems or challenges prospects have that you might not have taken account of. This, in turn, helps you refine your sales prospecting process and create a system that helps salespeople close more often. Even when you use all of the above-mentioned strategies, you are still going to hear “no.” But relationships, including business relationships, are built over time. The key is to keep at it and be consistent in your pursuit of gathering amazing prospects and converting them into customers. Remember, nothing worth having comes easy. Your relentlessness and perseverance will determine your success in sales and in life too. Now go get’em! What are your thoughts on sales prospecting? Is there anything you do differently while finding and reaching out to prospects? Let us know in the comments below.